The Araucana chicken originated in Chile, South America. 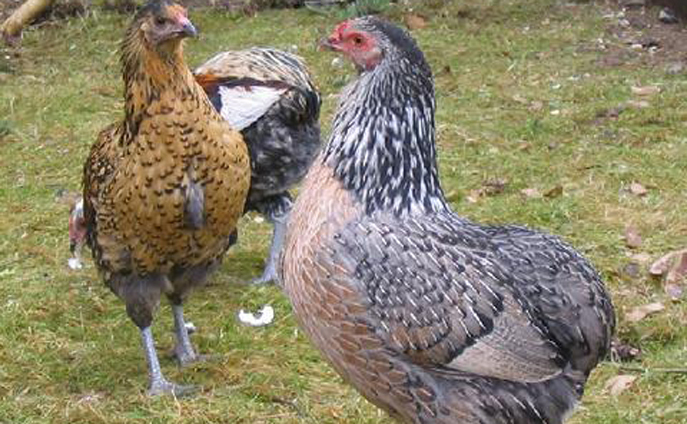 This breed is known for laying blue, green, and pinkish-brown eggs. Araucana chickens have ear tufts which are feathers that stick out from the chickens' faces. Another characteristic is the lack of a tail. They are raised for eggs and meat.